Happy Halloween, kids and kittens! 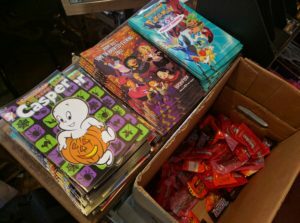 My local comic shop, Million Year Picnic, has trick and treat goodies to give out! Yours might too! Check it out! Either way, enjoy your night of spooks and costumes, folks! See you in November.